Got waive 2 in today. I said when they were first shown and I'll say it again the vest from the SDCC Revolution Roadblock would have been a much better choice for Gridiron don't believe me look on Facebook someone already posted a pic. So....not a fan of Bulletproof, yet he does look awesome! I like Cap Grid iron, a nice addition to the collection. The only change I would have done is I would have used the helmet from Law & Order and put the facemask on it. I think it would have giving it more of that vintage look. Here in South America the first shipment does not arrive yet, it looks good Grid Iron !!! This was a solid shipment overall. I'm kind of surprised just how much I like Bullet-Proof-- he turned out much better than I expected. Now if only shipment 3 were to hit my house THIS week. That's good to hear about Grid-Iron. I just opened up Clutch and found him to be much better out of his "plastic prison" as well. I am really loving Bullet Proof and Grid Iron. 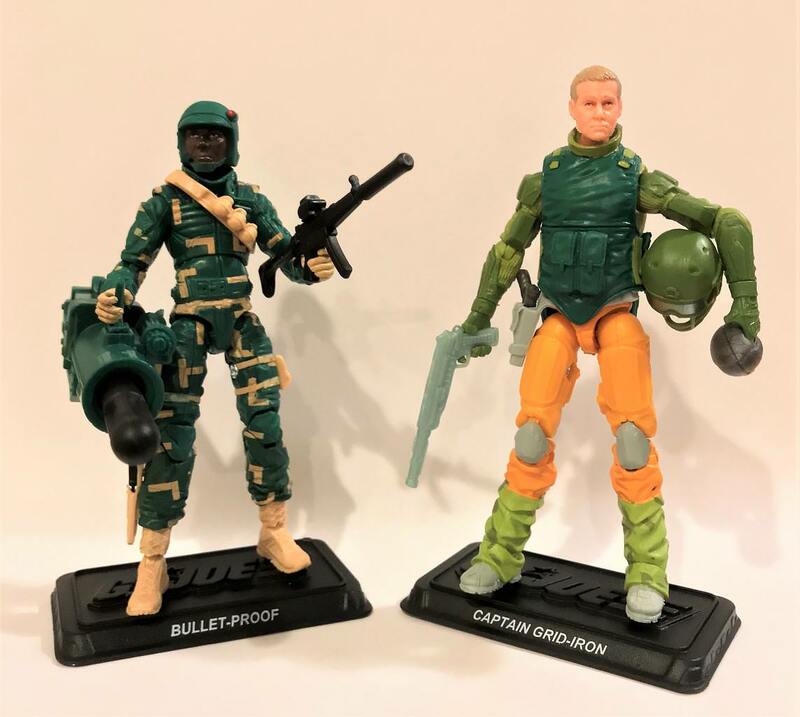 Bullet Proof is simply fantastic and a great tribute to the 1992 figure. It's a shame we never got a convention set of DEF/Battle Corps figures. Grid Iron is also very nice - I love the fact that I received the original for Christmas in 1990 and now the update 28 years later. it's amazing that the club almost completed the 1990 lineup. 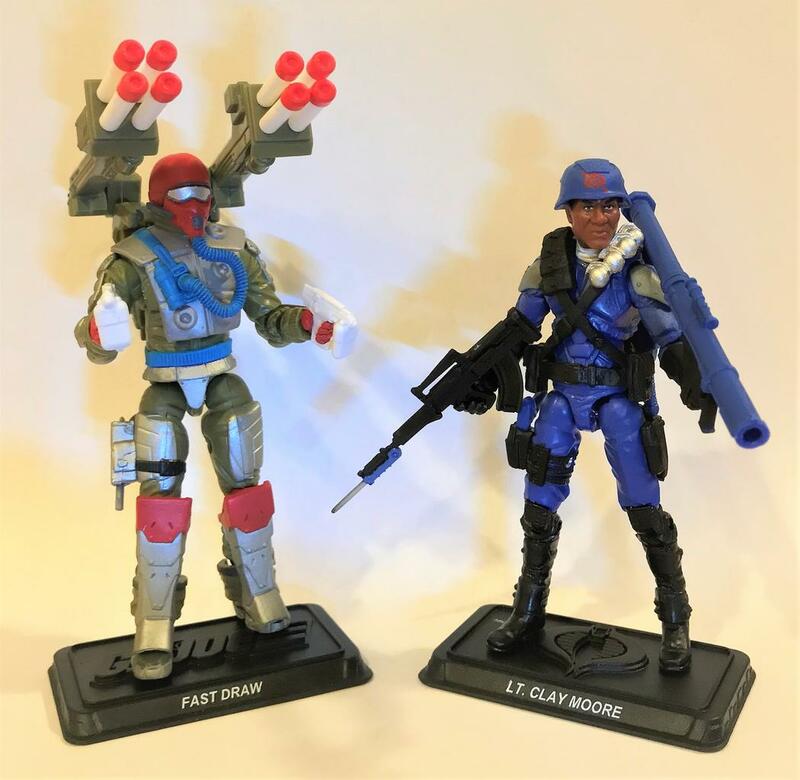 So wave 3 is Fast Draw and Clay Moore???? Fast Draw is an awesome to update to a rather complex 1987 figure. Clay Moore is also very good. An excellent companion to upcoming Nightstalkers figure set. After seeing the pics I caved and picked up Grid Iron and Fast Draw off evilbay. I'm considering Clay Moore now too.